I was so honored and excited to be asked to be apart of this fun new promotion for Home Depot! I teamed up with some really great bloggers to show you all our similar yet different versions of the Hanging Gutter Planter, and blogged about it here. I had lots of fun putting my take on this project! That's the cool thing about DIY, it's always fun to put your own little twist on things. I decided to paint my planter a bright fun color that reminds me of Spring and Summer. I was going for the ombre effect with the three different shades of blue. Sadly, it's been chilly and windy here in the upper northeast and my flowers are looking a little droopy because of it. - Spray Paint of choice! I used three shades of blue on mine. Still really love the fun this adds to our front porch! And I know we will get tons of enjoyment out of it. How fun would it be to use this for growing strawberries and herbs and spices? 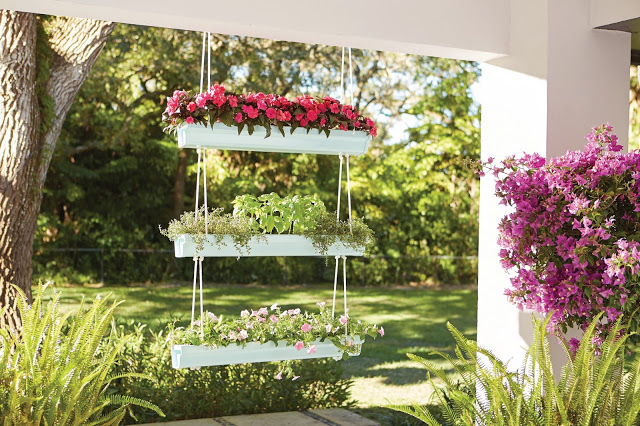 Or just displaying a pretty cluster of your favorite flowers? 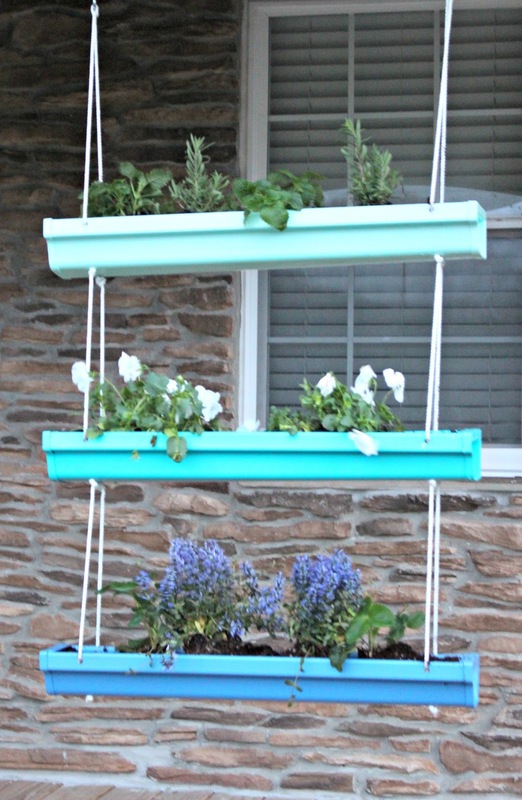 I also thought it was really cool to use something as basic and simple as a Rain Gutter! The Home Depot offers several great workshops for DIY'ers. The workshops are available at all Home Depot locations for do-it-yourselfer's of all ages and experience levels. I embarrassingly didn't know that until this campaign! Now I'm pretty sure I'll be signing up for more of these super fun workshops in the future. There are THREE different workshops offered. Customers can learn how to build decor projects, how to make easy home repairs, and how to operate tools through demonstrations and step-by-step instructions. Pretty cool, right? You can find out more by visiting http://workshops.homedepot.com/workshops/home. There is something so empowering about getting a power tool in your hand. Creating is so fun and a great stress reliever for me! Is it weird I'm sort of planning a girls night at one of these workshops? 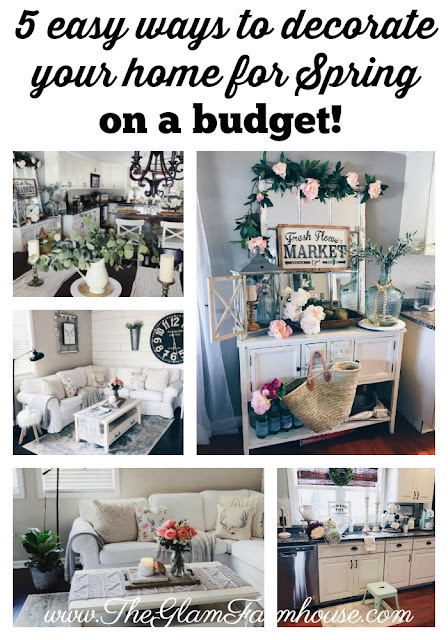 What a great way to learn how to become a DIY'er yourself! Be sure to check out ALL of the creative takes on this #DIHworkshop planter! 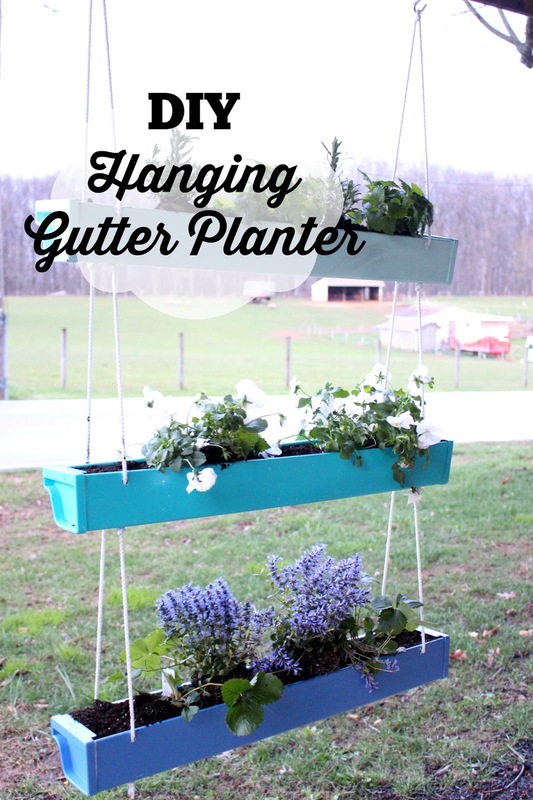 What do you guys think of the Hanging Gutter Planter? Would you make one? Tell me yes or no below! I love to hear from you guys and thank you so so much for your sweet comments! This post was Sponsored by the Home Depot and I received compensation for my participation in the program. All opinions are my own. 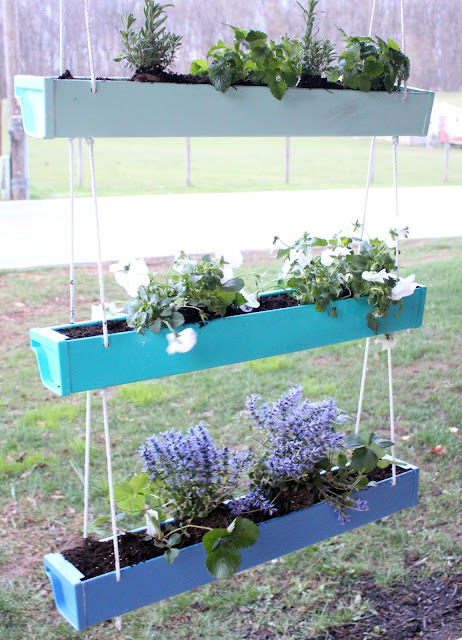 nice job on your hanging gutter planter! The colors are great! Love the color choices - so bright and fun! 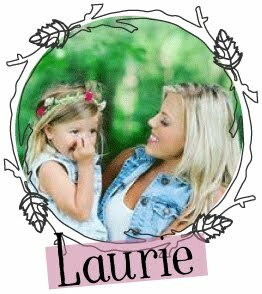 Love it Laurie! I really like that you picked the three different shades of blue. :) I would love one of these on my front porch! I love it on many levels. and being a development dweller I like the added privacy it gives! I high appreciate this post. It’s hard to find the good from the bad sometimes, gutter cleaning Houstonbut I think you’ve nailed it! would you mind updating your blog with more information?